Join us for our upcoming Current Issues in LGBTQ Health lecture with Dr. Christina Dyar! This lecture will take place on Tuesday, April 16, from 12:00-1:00pm CT in Conference Room L on the 3rd floor of the Prentice Women’s Hospital. The talk is part of the Women’s Health Research Forum hosted by the Women’s Health Research Institute at Northwestern University. Light refreshments will be served. Please note that the event will not be available to stream via BlueJeans. The Northwestern University Feinberg School of Medicine has designated this live activity for a maximum of 1 AMA PRA Category 1 Credit(s)™. For questions regarding the credit, please contact Dr. Nicole Woitowich. 1. Describe health disparities affecting sexual and gender minorities assigned female at birth (SGM-AFAB). 2. Discuss transitions in types of substance use over time among adolescent and young adult SGM-AFAB. 3. Identify risk factors for substance use and mental health problems among SGM-AFAB. ISGMH’s Current Issues in LGBTQ Health lecture series is generously cosponsored by Northwestern Medicine. 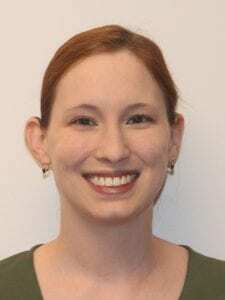 Christina Dyar, Ph.D., (she/her) is a research assistant professor at the Institute for Sexual and Gender Minority Health and Wellbeing at Northwestern University. She received her doctorate in social and health psychology from Stony Brook University in 2016. Prior to joining the faculty at ISGMH, she completed a postdoctoral research fellowship at the University of Cincinnati, where she began collaborating on FAB400. Dr. Dyar’s research broadly focuses on understanding and reducing health disparities affecting sexual and gender minority populations, especially sexual minority women and bisexual individuals. She is particularly interested in understanding mechanisms through which different types of stress (e.g., discrimination, internalized stigma) impact mental health and substance use and how these processes differ for bisexual compared to lesbian/gay individuals and among other subgroups of sexual and gender minorities. She is also interested in developing and testing interventions to reduce health disparities affecting sexual and gender minority populations. How will you be joining this event?